Southampton, a major port & city on the South coast of England. Southampton is notable for its association with the RMS TItanic and the Spitfire plane. During the Second World War it was one of the departure points for D-Day and is now the home port of a number of the world’s largest cruise ships. Southampton has a population of approximately 253,650. Southampton Airport is only four miles away from the city centre and there is a University bus link which operates at least every 20 minutes. Southampton Airport serves 40 European destinations. Gatwick Airport, one of the UK’s major international airports providing flights to more than 200 destinations across Europe, Asia and Africa, is two hour’s drive or a two hour and twenty minutes train journey from Southampton. Road and rail links are good and Southampton is just over 80 miles from London. The average lowest temperature in the Southampton area is .5 degrees in January. The average highest temperature is 20 degrees in July. The history of the university can be traced back to the mid nineteenth century when Henry Robinson Hartley left a legacy to the Corporation of Southampton which resulted in the foundation of the Hartley Institution in 1862. By 1902 the Institution had developed into the Hartley University College with degrees awarded by the University of London. 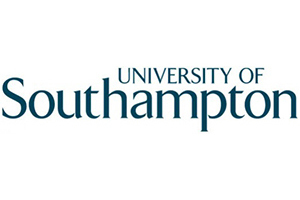 In 1952, the institution was granted a Royal Charter to give the University of Southampton full university status. Today the University is arranged into eight faculties: Business and Law; Engineering and the Environment; Health Sciences; Humanities; Medicine; Natural and Environmental Sciences; Physical Sciences and Engineering; Social and Human Sciences. Sir Tim Berners-Lee who is famous for the creation of the World Wide Web is Professor of Computer Science at the University of Southampton; the university is pioneering the development of Web Science the study of which aims to provide an understanding of the Web as a social and technical phenomenon. All halls of residence are located within walking distance of the main Highfield campus, sports facilities and social centers. There are good public transport links and student bus services. The main campus is approximately 3 miles from Southampton city centre. University of Southampton is ranked 118th in the Times Higher Education rankings, it is also ranked between 101-150 in the Shanghai Jaio Tong rankings. Southampton is a member of the Russell Group of universities. University of Southampton is ranked =68th in the National Student Survey Satisfaction survey. Southampton has approximately 5,000 international students from over 130 countries studying at the university. The represents about 21% of all students. Southampton has a total of approximately 24,000 students, 17,000 are undergraduates and 7,000 are postgraduates. 92.9% of Southampton university graduates enter directly into work, further study or training within 6 months of graduation (source:HESA). A breakdown of post graduation employment by course, showing the split into professional/managerial positions, rather than general employment figures, is available from Unistats an independent source of university data. For more information, please visit the REF Information page. University of Southampton has more than 280 affiliated societies and clubs for students to join, including: Aikido; Quidditch; Caving; Film and Pottery. Highfield Campus houses three art venues which are supported by both the University and Arts Council England. Sport is well catered across various sites with a 170 station fitness suite; 25-m swimming pool; two sports halls with badminton, tennis, netball, volleyball, basketball and squash courts. Students can also participate in martial arts, archery, rifle shooting, indoor climbing. On campus are two NHS practices, a creche, banks and The Student Union complex offering a cafe, a hair and beauty salon, a cinema and a mini-mart. Southampton has more than 20 Halls of Residence and guarantees a room for first year undergraduates. The lowest cost for a single bedroom with shared bathroom and kitchen is £92.33 per week. An example cost for catered accommodation is £141.75 at Wessex Lane. 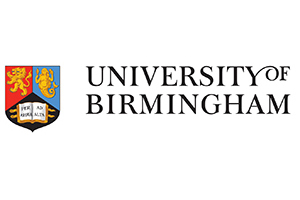 Fees for full time undergraduate courses start at £17,065 for most Arts, Humanities, Social Science and Business based subjects rising to £20,970 for most Engineering and Science subjects. 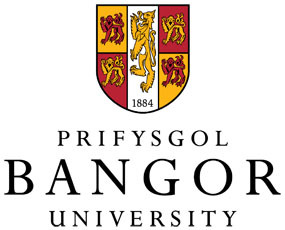 The University offers a number of distance learning courses including MSc Gerontology, LLM in IT and Telecoms Law, Royal Statistical Society programmes.